Both people and businesses place an enormous amount of trust in attorneys to handle issues that have major consequences on their lives and their futures. Unfortunately, lawyers can make major errors or fail to act which can lead to bad outcomes and negatively impact lives. If an Ohio lawyer has mishandled your legal matter, you may be entitled to receive monetary compensation from that lawyer. In fact, attorneys in Ohio are required to carry legal malpractice insurance to cover these types of situations, just as physicians are required to carry medical malpractice insurance. What is Legal Malpractice and Legal Negligence? 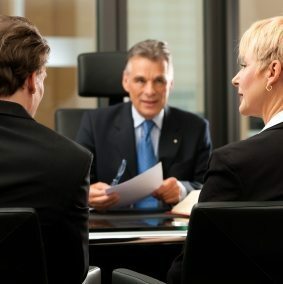 Legal malpractice and lawyer malpractice are terms used to describe a situation where a lawyer has damaged a client by a negligent action or lack of action. A lawyer is required to exercise the degree of care, skill, and diligence that a lawyer of ordinary skill and knowledge commonly possesses and exercises in a particular area of law. If he or she does not exercise this level of care, he or she may be guilty of malpractice. Most attorneys are competent, professional and ethical. However, some lawyers engage in wrongful and negligent conduct that places their clients and their clients’ cases in jeopardy. Just because you lost your case, does not mean legal malpractice has occurred. Someone who believes that he or she has become the victim of legal malpractice must prove the attorney acted in a manner that no other reasonable attorney would have acted. 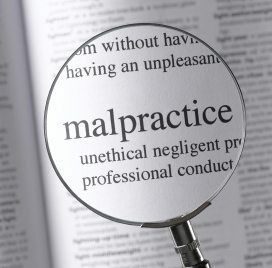 A person suing for malpractice must demonstrate that “but for” the conduct of his or her attorney, the outcome of the case would have been different. By definition, legal malpractice means the negligence, breach of fiduciary duty or breach of contract by an attorney that causes harm to his or her client. A fiduciary duty is the general legal obligation the attorney has to act in the best interest of his client. Stealing from a client could fall under all three of the above categories. Forgetting to file a case within a statute of limitations, or forgetting a court date, is not criminal, but violates a lawyer’s ethical standards and may constitute legal malpractice. Was my case dismissed because my lawyer failed to diligently pursue the case? Did my lawyer steal money from me or an estate that I was involved with? Was my case dismissed because my lawyer failed to designate expert witnesses or failed to provide adequate expert reports? Did my lawyer force me to settle my case for an inadequate amount due to a conflict of interest? Did I get sued because my lawyer drafted a document or agreement that was improper or ambiguous? Did I lose my case because my lawyer drafted a document or agreement that was improper or ambiguous? Did the lawyer use adequate “discovery”? Did the lawyer “dump” my case just before the statute of limitations ran out? Did my lawyer force me to settle out of court instead of going to trial because of lack of preparation or experience? Did the lawyer prepare sufficiently for my case? Did I get an improper or inadequate settlement in my original suit? If any of these have happened to you, or to an estate that you were involved with, you may be able to collect monetary compensation for legal malpractice. You may also have grounds to file a grievance against the lawyer with the State of Ohio Disciplinary Counsel. Legal Malpractice requires proof that the outcome of a case would have turned out differently had the attorney not acted in a negligent manner and there is a defined financial loss because of the attorney’s negligence. If the outcome of your case would have been the same despite the actions of the attorney or if you cannot prove the outcome would have been different, then legal malpractice has not occurred. A very important fact about legal malpractice is that legal malpractice claims in Ohio have a one-year statute of limitations. This means that you cannot sue an attorney more than one year after the date of the incident for which you are claiming legal malpractice or one year from the date of your last relationship with the attorney. It is possible the one year could run from the date you discovered or should have discovered you were injured as a result of the lawyer malpractice, but it could be debatable when you “should have discovered” your legal basis for making a legal malpractice claim. Many Ohio attorneys and Ohio law firms will not hold other attorneys accountable for their wrongful actions. Slater & Zurz LLP isn’t one of those firms. For more than 40 years, Slater and Zurz LLP has been helping victims who have been wronged and injured by others. We will take aggressive actions against any attorney who has caused a client to suffer losses and damages due to legal malpractice. Please contact us for a free consultation and a free case review by calling 1-888-534-4850 or by filling out the FREE CASE REVIEW form located on the right side of this page. The attorneys at Slater & Zurz LLP will work diligently to find out if you have a legal malpractice case, and, if you do, we will pursue your case until we get the best possible results for you.